Are you a fan of Fly Fishing For Pike? 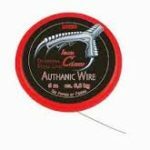 Lure Lounge have all you need for Pike fishing such as pike flies ,authanic wire and many more products that are designed for the fishing fan. 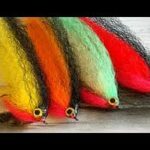 Coming from a range of brands all of the Fly Fishing Lines and Flies are from some of the leading brands in the Fly Fishing World which ensures you get the best Fly Fishing products on the planet. Having the right Fly Fishing kit is an essential part of good fishing practice and ensures you get off to the best start out on the water.